If your order weighs less than 13 ounces, save huge on shipping with USPS first class (with tracking number). This product weighs 5.2 oz. 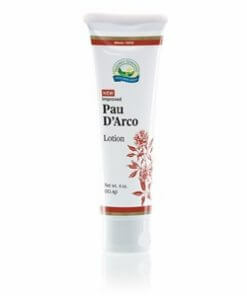 Nature’s Sunshine Pau d’Arco Lotion is extracted from the bark of the taheebo tree native to Argentina and Brazil. The bark’s immune system supporting benefits likely come from the chemical lapachol. Pau d’arco also encourages a healthy circulatory system. 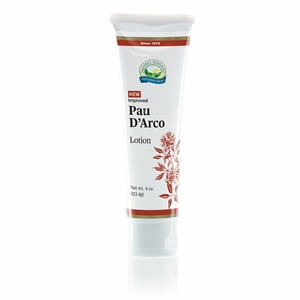 Nature’s Sunshine offers pau d’arco in capsule form, liquid extract, lotion, or bulk for tea. 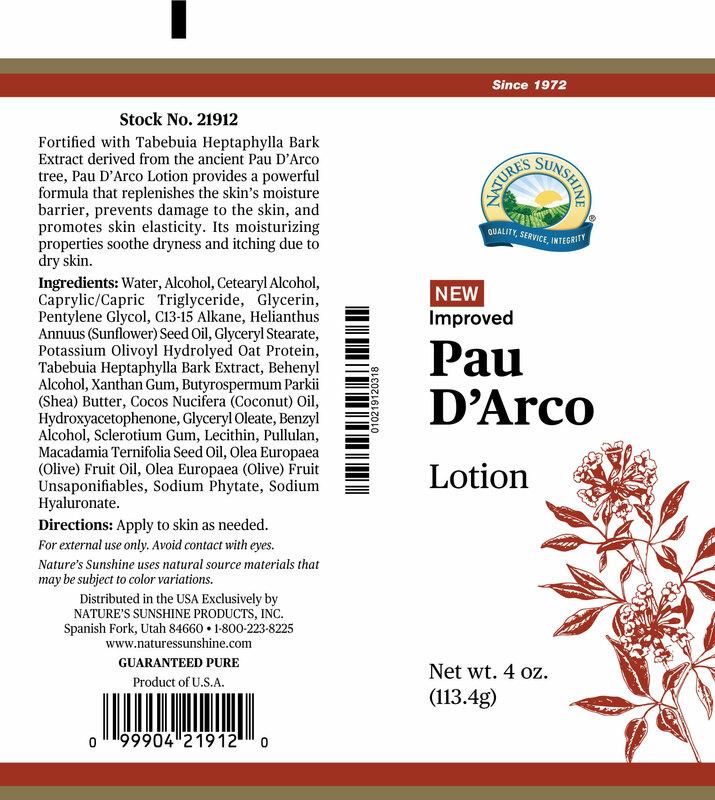 The lotion form of the herb assists in soothing dry or rough skin. Purified Water, pau d' arco extract (Tabebuia heptaphylla), Ethylhexyl palmitate, Carthamus tinctorius(hybrid safflower) seed oil, glycerin, Helianthus annuus(sunflower) oil, glyceryl sterate, cetyl alcohol, stearic acid, Aloe barbadensis leaf juice, sodium steroyl lactylate, tocopheryl acetate, panthenol, allantoin, disodium EDTA, carbomer, aminomenthyl propanol, dimethicone, polysorbate-20, phenoxyethanol, methylparaben, ethylparaben, propylparaben, butylparaben, and isobutylparaben.